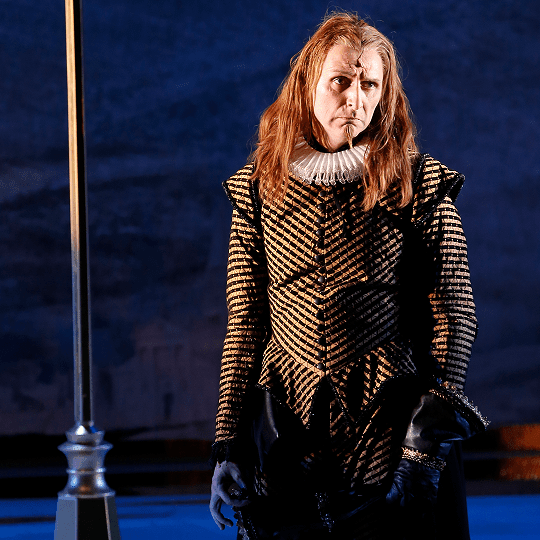 Eight costume makers worked on creating over 25 principal costumes designed by Gabriela Tylesova for MTC's production of Twelfth Night. 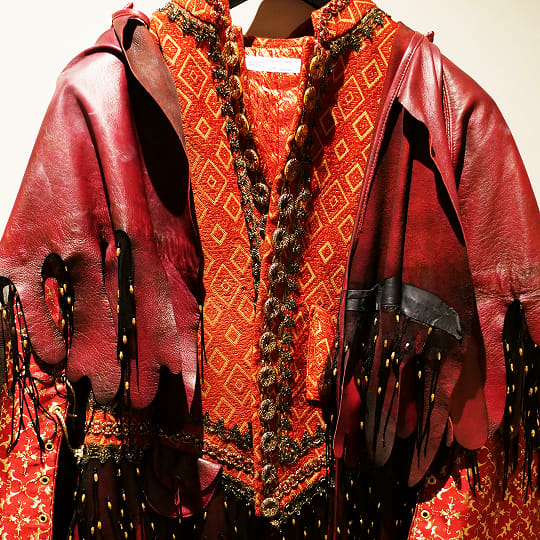 Additional makers worked on period handmade boots, shoes, capes, sword sheaths and other accessories. 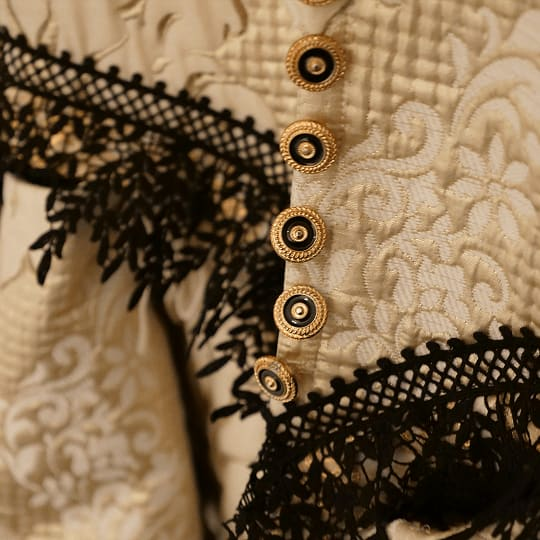 Materials have been sourced from the USA, England, Germany, Italy, Japan and multiple parts of Australia. 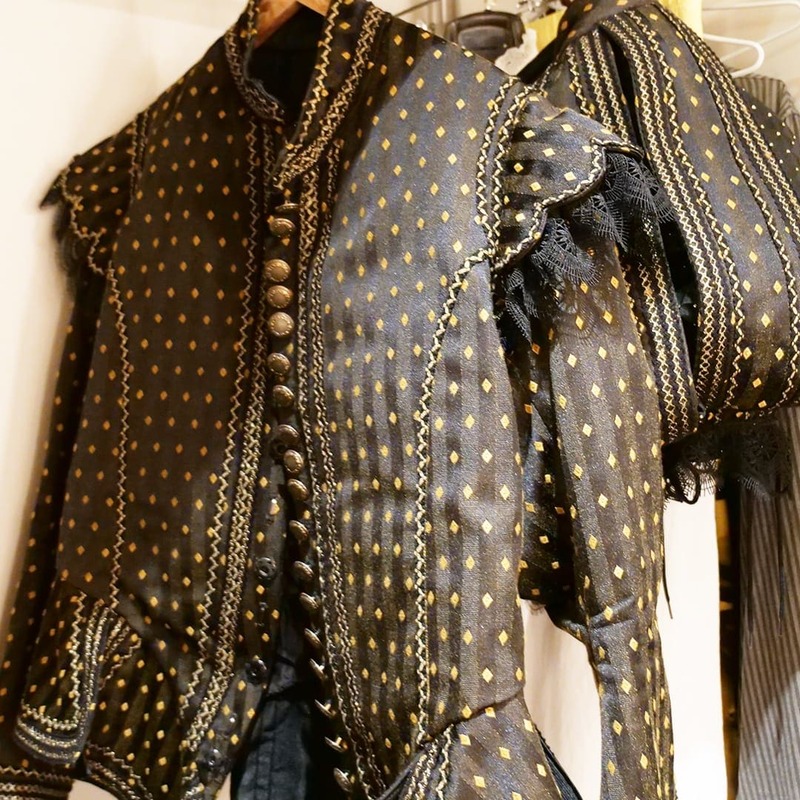 Each costume has required an average of 80 hours work, depending on their varying degrees of complexity. 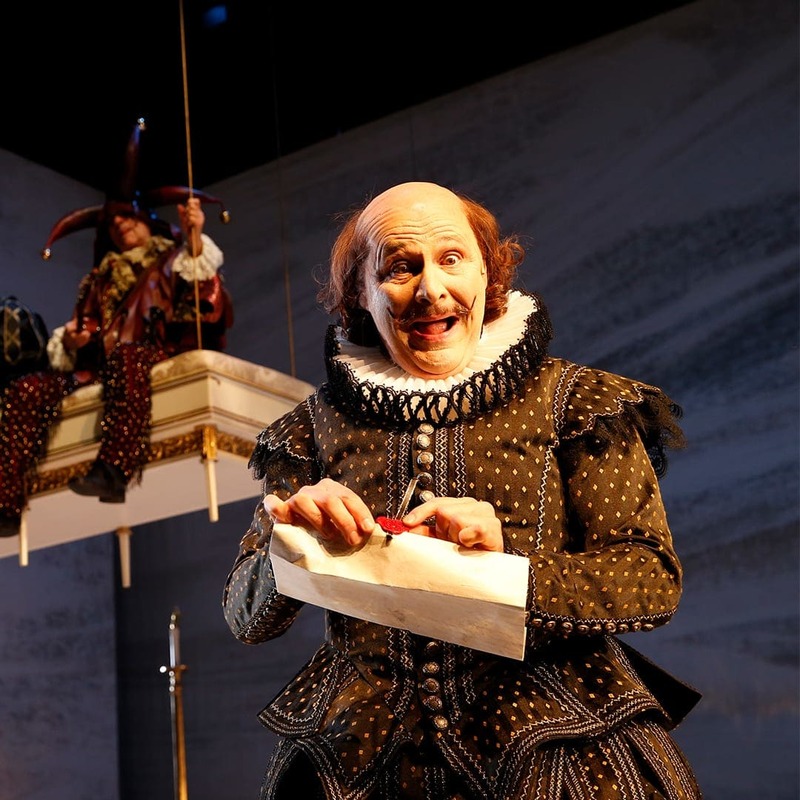 Almost every costume and accessory has been made by hand for this production, with only a few boots and shoes being recycled from past Shakespeare productions at MTC. 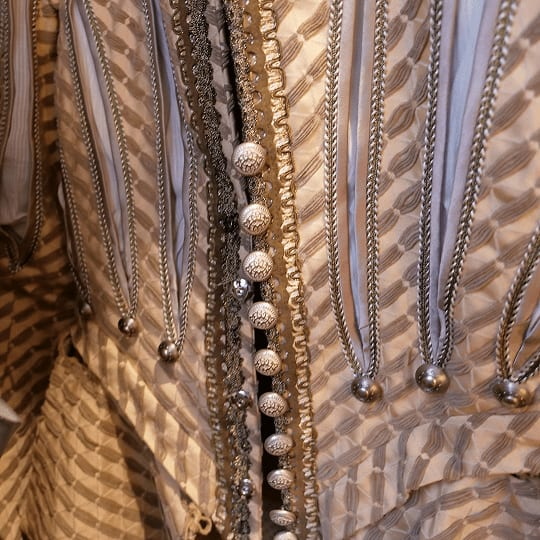 The fabric of Alec Steedman’s costume was hand-painted to enhance the 3D effect and to enhance the pattern. 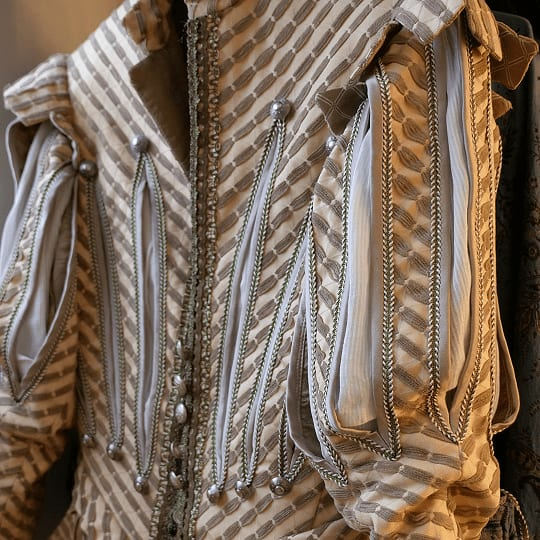 There were six different trims of fabric applied in layers. 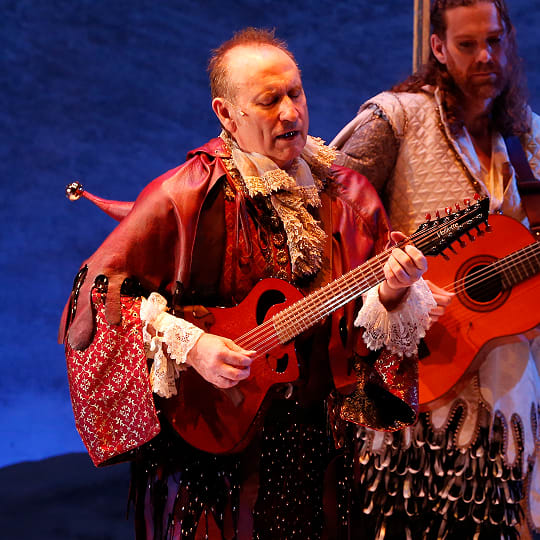 Nine different fabrics, including the leather, but excluding the trim, were used to assemble this incredibly detailed and heavy jacket for Colin Hay to wear as Feste. 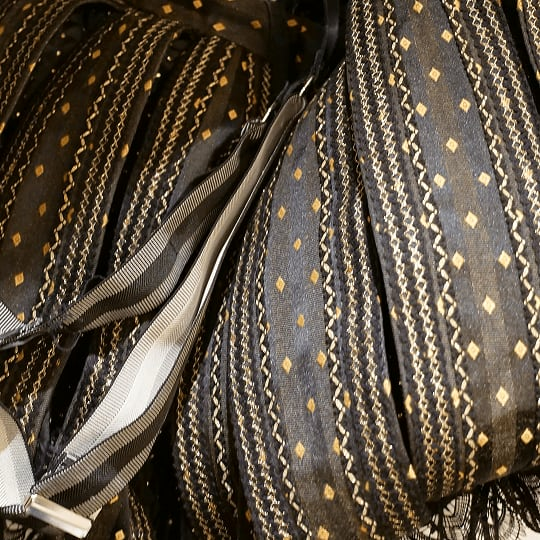 The fabric for Hay’s beaded pants were made to order in India. 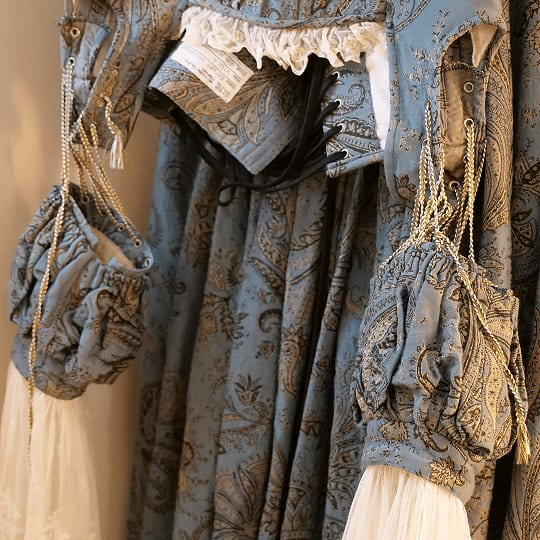 For Esther Hannaford’s opening scene dress, the bulk of the fabric was imported from Italy, the lace and cuffs came from England, while the trim was sourced from Japan. 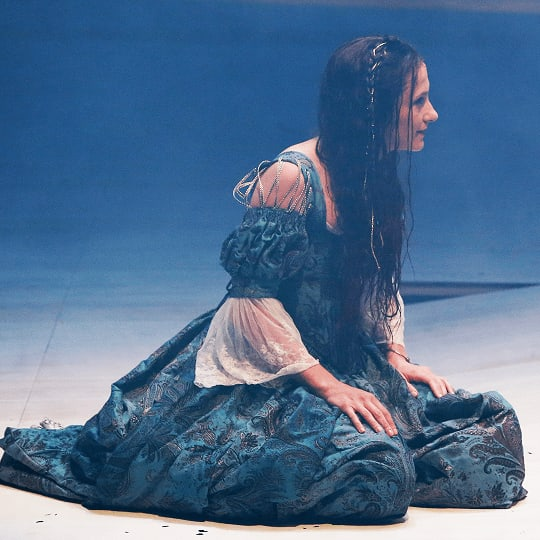 The dress needed to be wet before each performance to give the impression Viola had just survived a shipwreck. 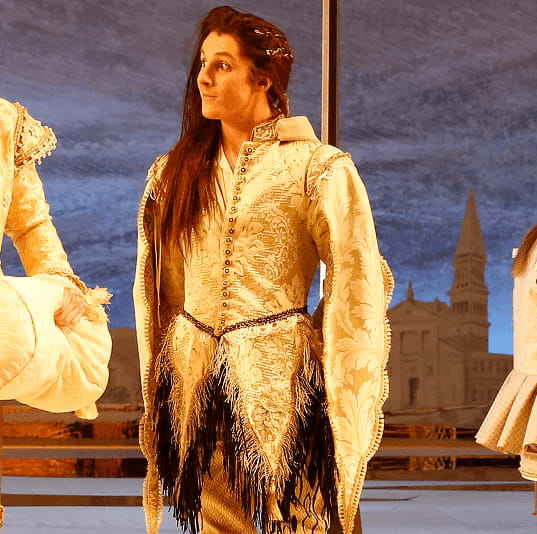 Surprisingly the dress did not shrink over the seven week season. 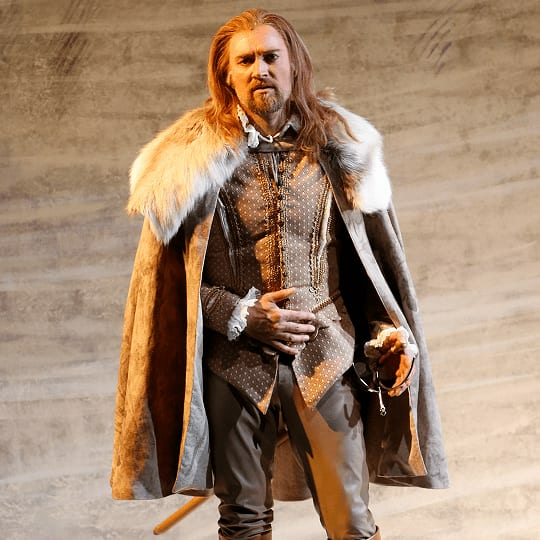 The wardrobe department used furnishing fabric, turned inside out, to create the desired effect Tylesova was seeking for Frank Woodley’s costume as Sir Andrew Aguecheek. 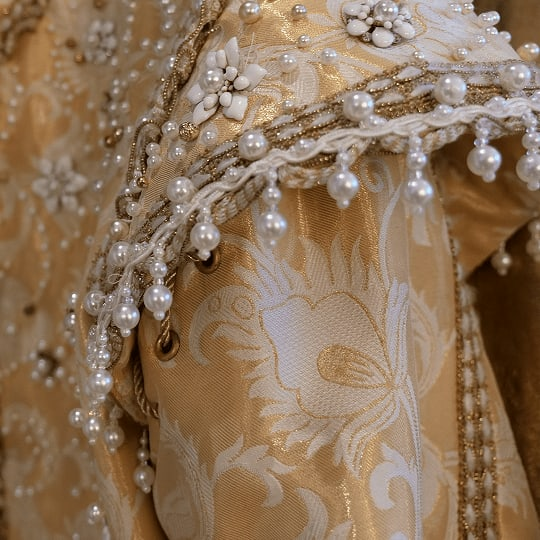 The ruffs were handmade at MTC with individual beads added to each ruff fold. 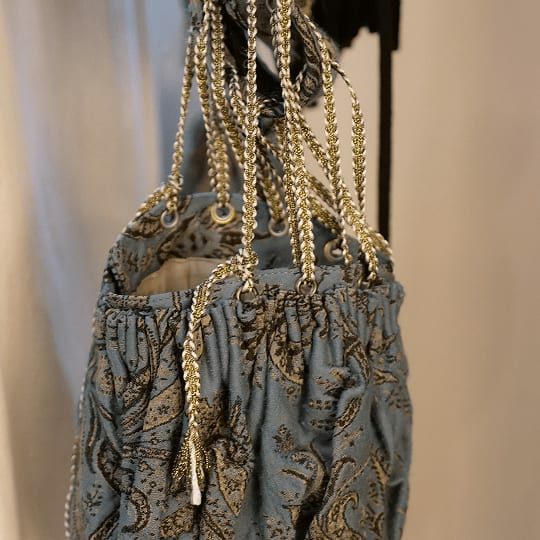 The trim was sourced closer to home in Fitzroy. 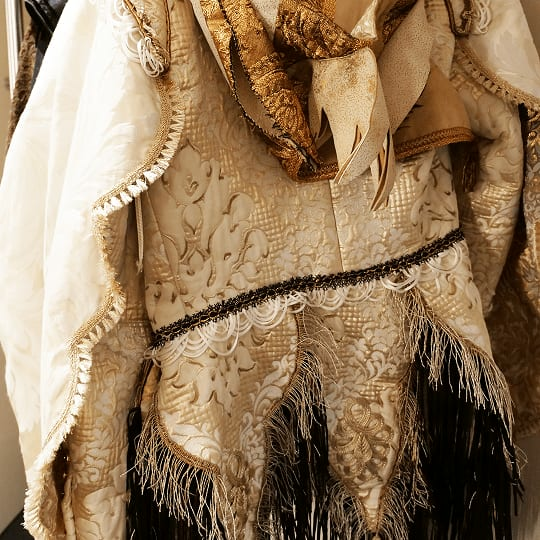 Lachlan Woods had two of the most elaborate and detailed costume pieces; wearing a jacket made in house, with five different kinds of hand-sewed beads. 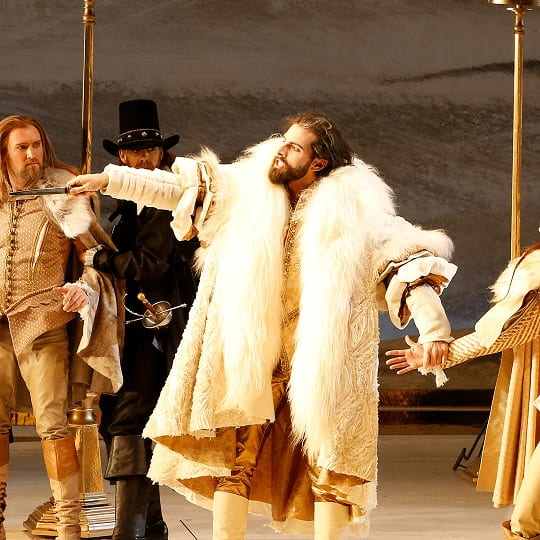 He also wore a 5kg coat at the top of Act 2 made from Icelandic snow sheepskin. 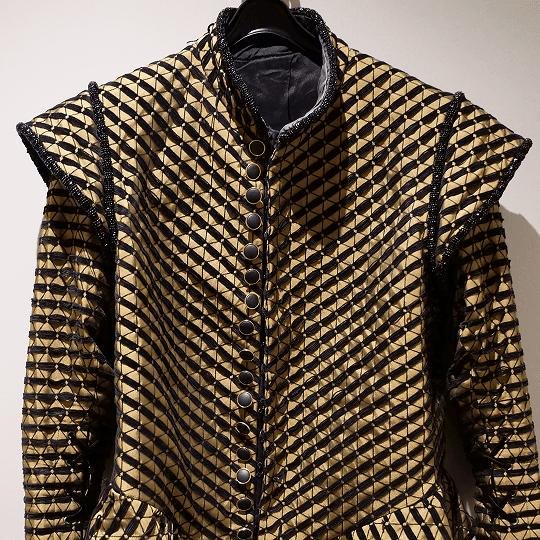 Once again, thick furnishing fabric was used to create the rigid look of Russell Dykstra’s costume as Malvolio. 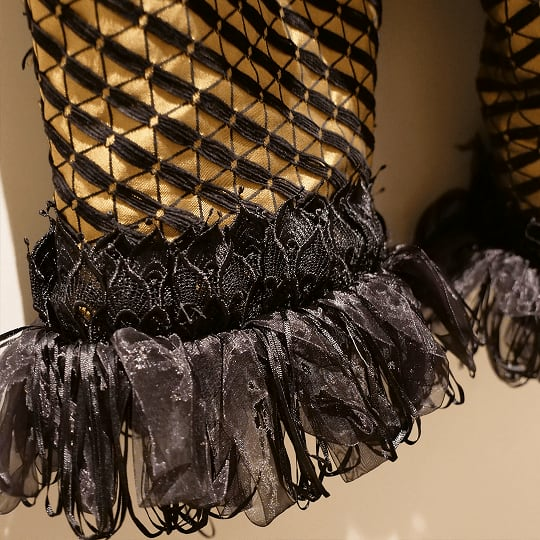 Each ruff took approximately eight hours to complete with numerous layers of hand-applied black, lace trim. 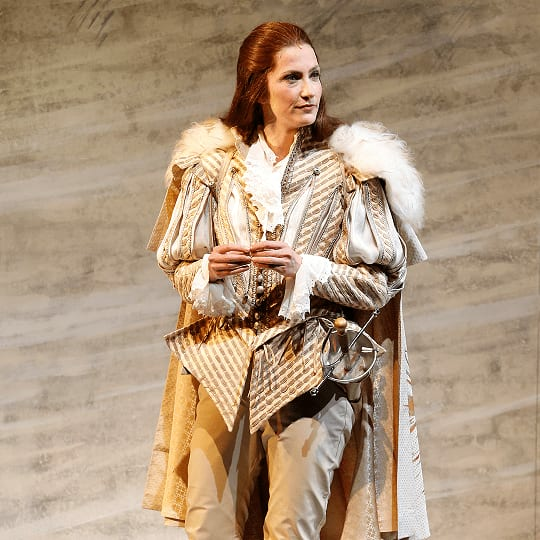 Esther’s costume as Cesario was also made of furnishing fabric, although the noticeable difference being it was turned inside out. 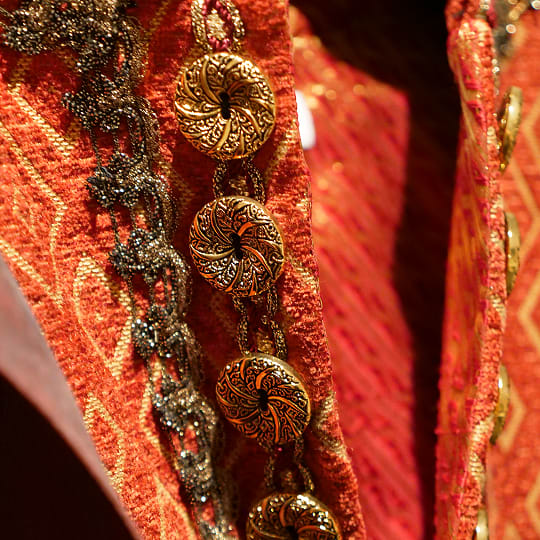 Beautiful metal buttons were sourced from Sydney. 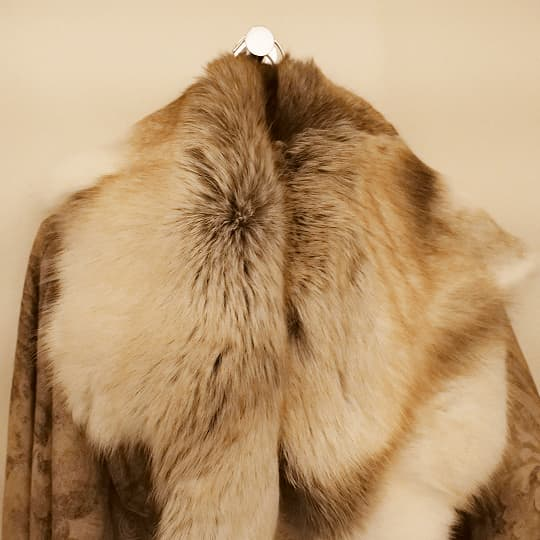 Thick upholstery fabric was used for Anthony Harkin’s costume, with trims sourced from Japan and fur sourced from Iceland.